Here are the most up-to-date ways that you can use social media to generate measurable results for your business. You might be tempted to build a presence across all of the top social networks, since after all, at least some of your customers use each of them. And sure, you might be able to crank out content that you can simply post to all the social sites. But, beware — your followers can easily detect this automation shortcut and they’ll tune you out. Why? 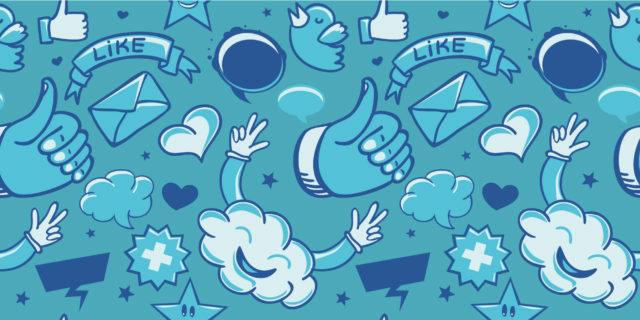 People use social media to, well — be social. They reward the companies who have employees engaging one-on-one with them. Worse, the algorithms used by the social sites to decide whether to show your content to more people also, not so surprisingly, ignore you when no one is engaging with you. To figure out what is driving engagement and ultimately new customers, we asked 33 social media marketers which sites and tactics are still working for them. Their experiences overwhelmingly revealed that you can generate a much higher ROI by focusing your energy on one service; by interacting with your audience as a human would and sharing content that fits for that individual social site. If you do these things, they told us, you can generate consistent engagement with your posts that lead to ROI for your business. Here were the specific lessons – organized by social site — that these marketers shared from their own experience. One Consistent Activity: We host and facilitate a Facebook group that supports our “A Brighter Web” Meetup and website. This exclusive Facebook group is dedicated to sparking conversations regarding WordPress, website marketing ideas, or local events with other industry professionals. Impact on My Business: It not only shows we’re a local industry leader of website design and WordPress, but it also connects other industry professionals to each other and expands their network. These group members also see GreenMellen as the go-to business for their questions about digital marketing, and they often refer their connections to us for their business’s digital marketing needs. One Consistent Activity: Being active in Facebook groups is a great way to build authority and get quality referral traffic to your site. All you have to do is answer people’s questions, provide value, and occasionally link to one of your articles to either help answer a question, or start a discussion, and people will eventually start sharing your stuff without any of your encouragement. Impact on My Business: This strategy generates quality, targeted traffic who already know our brand, and that can only be a good thing. One Consistent Activity: Facebook provides an incredible opportunity to distribute your latest articles, thought leadership and value-added content to your ideal audience. Impact on My Business: By demonstrating leadership in our space, when potential clients read these articles and see the associated social proof, these articles become both a testimonial to our capabilities and a reference point for early conversations. One Consistent Activity: After every engagement we receive on Facebook, whether it is a post “like” or comment, we invite the user to like our page, which grows our follower base. Impact on My Business: This increases our brand trust with increased follower activity. Plus, it helps an engaged audience continue to follow our content. Since we’ve done this tactic, we’ve increased our follower growth steadily over the year. One Consistent Activity: I post various things on a regular basis, including things from both my professional life AND my personal life. People like to see and learn about the woman behind the business (Wording Well)! Impact on My Business: By showing others that there is more to life than simply business, I establish a personal connection with them. By mentioning my current and past editing projects (and promoting the authors of those books), others get to see that I am a skilled professional who is (A) available to help them, (B) willing to give out free promotion to my clients, and (C) proud of helping others succeed. They then WANT to work with me! One Consistent Activity: As well as sharing our own content, we use Facebook to share links and articles from other sources. When we come across something relevant to our industry, our values, or in some way applicable to our readership, we use our social media presence to spread the word or engage our readers in a conversation about the topic. Impact on My Business: We don’t consider social media to be a tool purely for self-promotion. As a B Corporation, it’s important to us to leverage our influence in responsible ways (socially, environmentally, and so on). One of the highest aims of our business is to make ourselves a force for good. Social media is one of the tools we use to achieve those ends. As well, by producing and sharing strong content, we build trust in our brand, affording us greater influence and broader scope. One Consistent Activity: We are always posting content to Facebook that provides valuable marketing and sales advice to business owners. Most of the content we produce are blogs. This content could be our own, curated articles, or from industry thought leaders. Impact on My Business: Posting valuable content on Facebook is essential for us to attract more visitors to our website. At first, we really didn’t know which social platforms were performing the best. We assumed Twitter was referring the most traffic to our site since we had the most followers (never assume, check the data). After using Databox, we are able to better leverage our social media usage to see that Facebook is our number one medium for sessions by referrer and sessions by social networks. Wow. We turned our focus more to Facebook since that is where our main social media traffic was originating from. One Consistent Activity: Posting on my wall is most effective, followed by posting in specific groups. Impact on My Business: Once I make a relevant post looking for an offer or looking for traffic, my FB lights up with activity within seconds! I get responses for up to 3 days following a post. 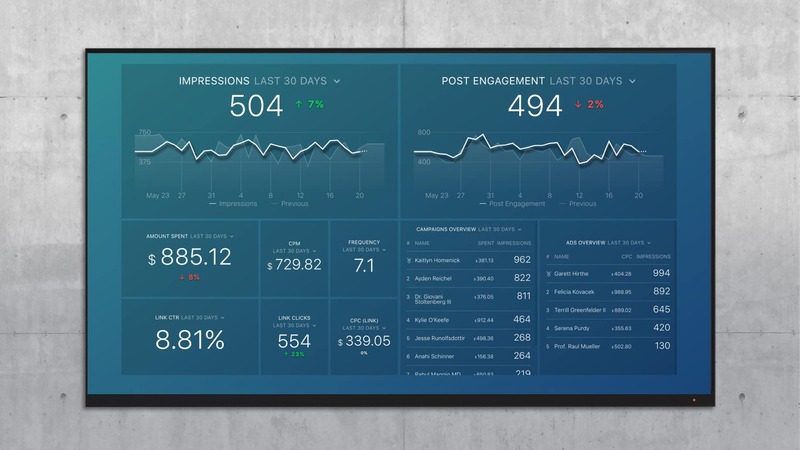 Track your organic Facebook metrics with our Facebook Page Insights dashboard. One Consistent Activity: Facebook ads are where it’s at. After last week’s announcement about the new timeline algorithm, paid placement is more important than ever. When we build a social strategy for our clients, we always recommend a healthy mix of paid and organic, but the emphasis has to be on the paid portion these days. The ability to target, build custom audiences and control placements on Facebook and Instagram within Facebook Business Manager allows us to utilize our agile approach to marketing. We can launch, measure, and iterate on campaigns quickly to maximize results and minimize spend. Impact on My Business: This approach allows us to better serve our clients. A lot of companies are still having to fight hard for budgets to spend on social media advertising so having an agile approach helps them feel more comfortable knowing they’re not spending tens of thousands of dollars with the hope of results. One Consistent Activity: Facebook has been pretty clear that video is king – first by permitting videos to be natively posted to the social platform and now utilizing live streaming and Facebook Watch – so, we like to implement as much video as possible, both organically and through paid advertising. 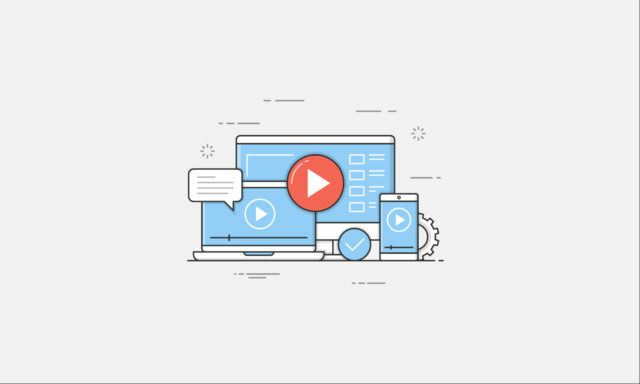 Unfortunately, with our client base, live streaming has been somewhat difficult so we like to utilize natively posted video as much as possible. And the video doesn’t need a lot of production work – it can be captured with a good mobile device. We also have seen great success with short, simple animated videos created in-house. Videos have helped boost our engagement as well as lead flow too, not just clients. Impact on My Business: The videos we’ve created have gained more engagement than the links or images we’ve posted. For one of our clients, a proprietary school, many of our posts that only include an image generate engagement rates of about 12%; however, posts with videos during that same period produced engagement rates of over 50%. One Consistent Activity: We use Facebook Ads to promote extremely useful and detailed content published on our blog. This means we can reach a wider audience. Not only that, but we use a re-targeting pixel to ensure we can reach those that already know about our website. We get a much better reception to our ads that way. Impact on My Business: This gets more people on our website and digesting our content. It can sometimes have a direct impact on revenue, but it depends on the article. If it doesn’t, then it will lead to email subscribers which will then lead to an increase in revenue. But this only works because the content we publish solves key problems that our audience is facing. One Consistent Activity: Facebook Ads. There’s nothing like Facebook Ads that will help you reach more people by applying very specific and granular targeting. They generate tangible results while keeping the cost down. Impact on My Business: As an agency, we aim to provide our clients with the most effective solutions. Facebook Ads have always helped us deliver real ROI to our clients. Happy clients mean more business and more clients. One Consistent Activity: We utilize Facebook video advertising as it’s much lower cost to reach than “normal” Facebooks Ads. Impact on My Business: We can still utilize Facebook’s targeted demographic profiling in a more cost-effective approach by leveraging video advertisements on the channel. One Consistent Activity: We use Facebook predominantly because it has the most members in Australia compared to other platforms. We mostly use the ” paid” features to get the best results for clients on Facebook because we love the ability to customize the audience. This makes it easy to predict the results so that clients can achieve their goals. Impact on My Business: Being able to see the predicted reach of an audience enables us to forecast the results more accurately. We can then work out what the likely reach will be, what the likely click through rate will be and the conversions/cost. It enables us to better budget for clients. One Consistent Activity: We develop social content campaigns which are strategically amplified through Facebook Ads campaigns along each part of the marketing funnel. We leverage various content + ad types to ensure we’re engaging key audiences in thought-provoking ways that inspire and motivate a direct call to action. Impact on My Business: We successfully engage, educate and nurture key audiences for our clients through Facebook campaigns, as part of a holistic digital marketing strategy. Facebook plays a core role within our strategies, at every level of the marketing funnel – from branding + awareness to conversion, all the way through to loyalty and advocacy. 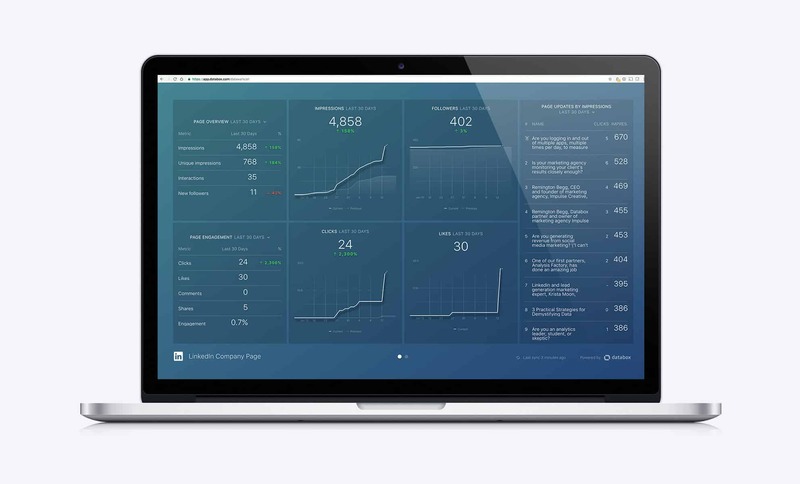 Use our Facebook Ad Campaigns dashboard to track all your campaigns in one place. 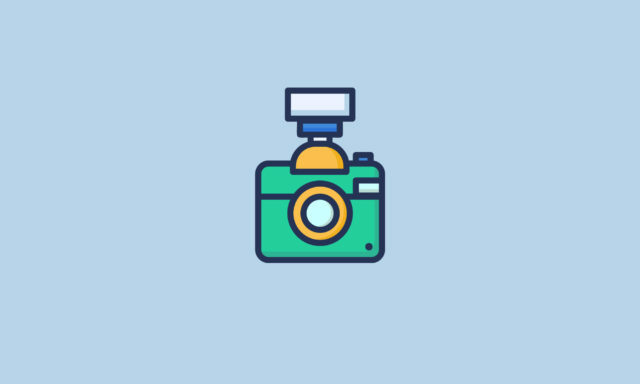 Check out our full guide to Instagram B2B marketing strategies if you are looking for example posts from B2B companies that have done really well on Instagram. One Consistent Activity: Illustrate our company culture using images and hashtags. Impact on My Business: It allows us to promote what our clients are doing which helps with their organic reach. It also gives potential clients insight into who we are as people. This is important as clients want to know who they will be working with on a daily basis. One Consistent Activity: Instagram post literally show your brand and what separates you from others. It’s a way to stand out past the copy that exists on your website promoting the same services that other agencies may offer. 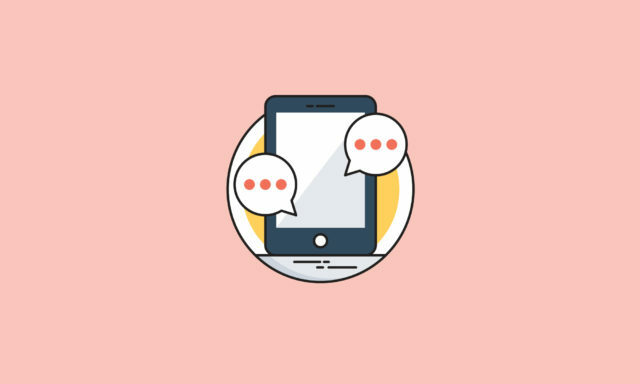 For Atypic, it’s important to highlight how we interact as a team in hopes that our social posts properly reflect our brand to both current and potential new clients. We love to highlight our knowledge and projects but we also feel it’s equally important to showcase our team and how we interact with one another. Impact on My Business: It helps current clients feel comfortable working with us knowing that we are knowledgeable, hard working and work well together as a well-structured team that also has fun and loves to celebrate our accomplishments. One Consistent Activity: We update our own Instagram story throughout the day, and make sure that type of management is also included in all of our client engagements. Impact on My Business: Social media channels work because they’re all based on the idea of a community – with a hint of exclusivity. When we post Instagram stories on both our account and our clients’ accounts, we drive stronger engagement and provide a unique avenue to focus on “behind the scenes” content and exclusive incentives. This builds brand loyalty and helps to increase engagement and a follower’s lifetime value. 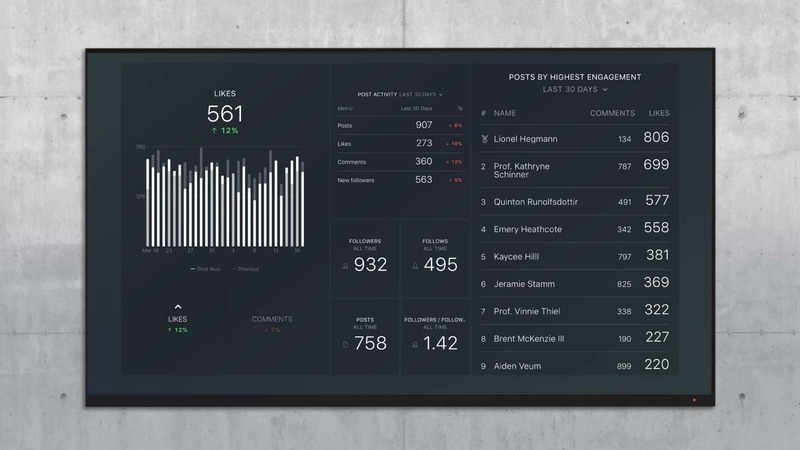 Track your Instagram engagement data in real-time with this Instagram Basics dashboard. One Consistent Activity: We believe in the power of our employees and their networks online. They tailor each post to their audience and give them access to great content. Impact on My Business: We want to work with other businesses and help them improve their inbound marketing strategy. We are the very best at supporting and advising our customers and helping them build their online presence. Social media gives us a greater reach and lets our employees be the center of our sharing strategy. One Consistent Activity: We are consistently using LinkedIn to share content and engage with professional services providers and business owners. Impact on My Business: This helps us get exposure and develop relationships with individuals in our target audience and often leads to off-line human to human interaction on the phone or in person. 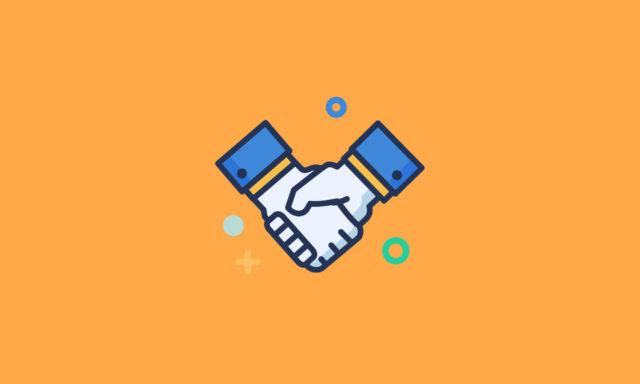 Taking the time to develop relationships, instead of “selling” all the time is a key component of our social media marketing strategy. One Consistent Activity: We utilize Linkedin every day to achieve two goals for our business. The first is providing value and resources to other business owners by inviting them to join our Linkedin Group where we share content, recommendations and just discuss issues as well as successes around owning a business. Secondly, we tap into Linkedin for aggressive prospecting to build our business. We want to connect directly with our target buyer and provide a solution to their pain points. Linkedin has been a major player in how we’ve been able to scale our business. Impact on My Business: With our Linkedin strategy, we’ve accomplished company goals of connecting with amazing clients and growing our team. The connections built through Linkedin have introduced us to some unbelievably inspiring and smart individuals who we now consider a close piece of our network. For our Aliste Marketing Placement Services (AMPS) division, we’ve relied on Linkedin to attract and convert professionals on both sides of the equation- marketing professionals as direct hires and companies seeking a qualified direct hire. One Consistent Activity: I update my profile consistently with at least one post a day. That keeps my profile in front of my LinkedIn contacts, so they will have top-of-mind recall if they need the kind of services I provide. Impact on My Business: I find that when I share more often, my profile gets found more often in searches and more people connect with me and message me. The stat below is from this week. 1388: number of times your profile appeared in search results between January 16 – January 23. One Consistent Activity: I regularly write articles for LinkedIn. This viral article of mine explains a lot more. Impact on My Business: Writing articles for LinkedIn helps in so many ways. It broadens my networks (LinkedIn shows popular articles to people outside your personal network); helps establish me as a thought leader in my field; enables me to engage with my target audience and encourages me to think deeply about what I do. One Consistent Activity: LinkedIn is great for connecting with Clients, prospects and leaders in your industry. One of the most effective ways I use LinkedIn is to amplify our blog content. Impact on My Business: Since starting our LinkedIn strategy several years ago, we have seen our database grow by 20% plus every year and visits to our blog have grown exponentially. We even closed a new contract with a prospect we met on LinkedIn. 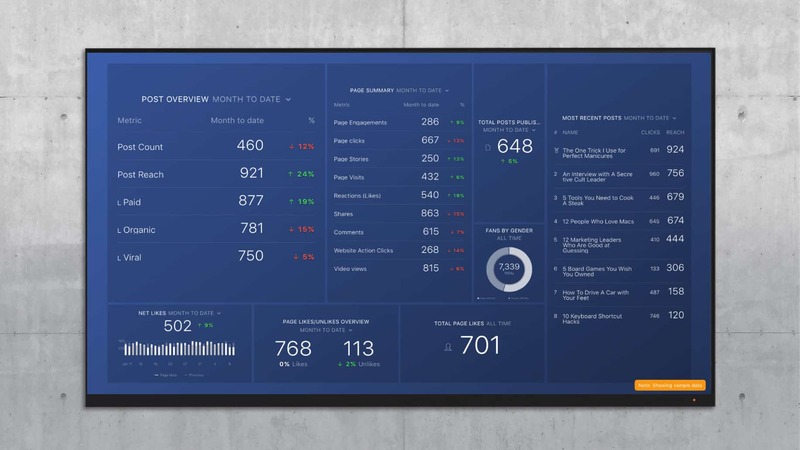 Track your organic Linkedin progress with the Linkedin Company Pages dashboard. One Consistent Activity: We’ve found that LinkedIn advertising is the most effective channel for us. Each week we spend $50-$125 on LinkedIn ads to drive qualified leads to our business. We narrow down our audience so we can target at a very specific level. Impact on My Business: Recently, one client who came from LinkedIn signed on with us. Their retainer fee for the first month of working with us paid for our entire ads budget of 2017, and then some. One Consistent Activity: As a B2B marketing agency, LinkedIn allows us to be specific in targeting business leaders for our clients who often favor an ABM approach. Impact on My Business: The professional social network is a great place for businesses to share content, promote brands and find talent. However, it’s also effective for cultivating a valuable community, in the form of LinkedIn Groups. 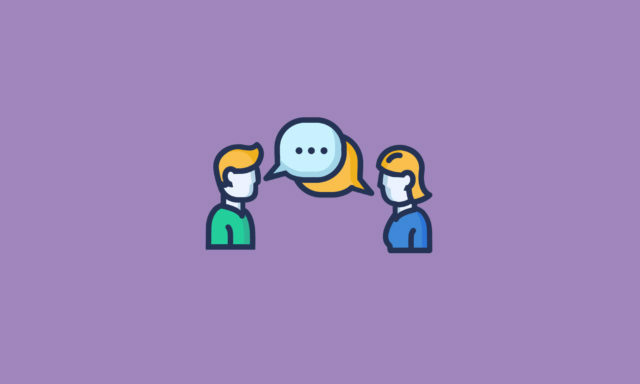 These private forums are hubs where LinkedIn users can share ideas, meet potential clients and connect with the biggest influencers in key verticals. One Consistent Activity: We run account-based marketing campaigns on LinkedIn using LinkedIn’s custom audience account targeting for our industrial and manufacturing clients. Impact on My Business: Custom audience account targeting allows us to build a list of key accounts that would have the biggest impact on our clients revenue. We target key decision makers at these target accounts with engaging content or offers. This increases the volume and quality of leads and our clients also see a significant increase in deal size. Typically deal size increase 20-25% for these clients. 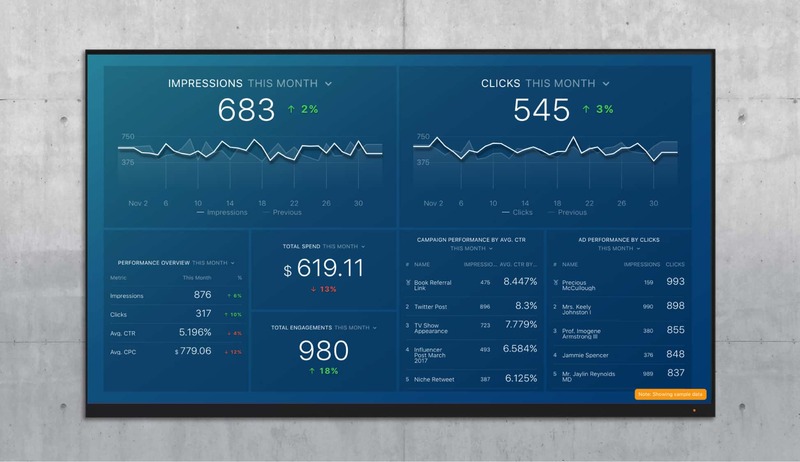 Measure the success of Linkedin Ads with the Linkedin Ads Overview dashboard. One Consistent Activity: Once a week, I review the most recently asked questions that Quora automatically recommends to me and then I try to spend at least 1-hour answering just a few questions where I can really provide a lot of value. Impact on My Business: Since regularly answering questions on Quora, I’ve seen our traffic from the questions site double, month after month. On top of that over 9% of the traffic we get from Quora eventually converts to subscribers. One Consistent Activity: Provide value. Since linking from a podcast is nearly (some might not even say “nearly”) impossible, it’s about building trust and credibility over time. I need my audience to feel so confident that we can help them, that they’ll go out of their way to find us on the web. Impact on My Business: For awhile I was debating adding sponsorships to the podcast. However, at our listener level, we probably would have brought in only a few hundred dollars a month, which is not even enough to cover our expenses. However, two businesses have reached out to us because of the podcast–they wouldn’t have heard of us any other way–and hired us. Those two jobs alone have been worth more than $100K of retainer work. There are many other jobs where the podcast has contributed to our success, but these two were 100% directly attributable to the podcast. Impact on My Business: Our use of Twitter has allowed us to keep our current followers engaged and entertained by our posts, and when they like or retweet them we gain new followers that are interested in us and the content that we are providing. We didn’t set out to focus on Twitter but we saw the most growth and engagement on Twitter. One Consistent Activity: Engagement is one of the best ways to grow a business. Twitter gives you the opportunity to successfully engage with your target audience in what feels like a much more natural, unforced way. Impact on My Business: By engaging with our followers, we’re able to not only discuss problem points they may be having, but create a discourse which can be fun or informative. This gives our agency a personality and subsequently increases our brand awareness. One Consistent Activity: Twitter provides us with many advantages over other Social Media websites – more direct interaction and high visibility relationships. Impact on My Business: With each short Tweet, we can choose to focus on a wide or narrow target audience. Of course, this results in better conveyance of ideas to the intended audience. Impact on My Business: It helps us build a brand and a following. Tweets with more than 500 retweets look pretty nice. People think, “this must be good!” Of course, it also gets us a lot of traffic. One Consistent Activity: The three things you need to know about Twitter to generate clicks and leads are Volume, Relevancy and Quality. You need to speak (tweet) with Volume – not just above the din, but frequently. You also need to make sure that when you do speak you are Relevant with your message – this will give you the greatest chance that when your target audience does hear you that you are saying something they can immediately relate to. You need to have something of Quality to say, something that is useful, valuable and meaningful to your audience. Impact on My Business: I’ve learned first-hand that Twitter actually can be very effective at lead generation – to the tune of over one new lead a day for my business, and growing. We had zero leads a day from Twitter just 6 months ago. Best of all, I’m not spending a dime of my money to do this, just the time and effort I put in. One Consistent Activity: Passionately engaging with people is a MUST on every social platform on which you choose to present your brand. If you’re on Social Media but not engaging … You’re just media! Impact on My Business: I’ve built a brand on multiple social networks, although I use Twitter because it is best for reaching new audiences. Due to its brevity (character limits in replies), GIF functionality and fast-paced nature, Twitter allows fun engagement and rapid relationship building with people I may not have otherwise been in contact with. It’s an amazing channel for first-touch communication, leading the way to deeper relationships not only on LinkedIn — but many other places elsewhere (online and offline). In turn: This generates not only a wider network — but also traffic, leads, inquiries and sales. During one month of experimentation, I gained just a fraction under 30K link clicks via Twitter — proving the immense power of this platform! One Consistent Activity: Twitter is an extremely valuable tool for B2B brands. We utilize it ourselves and always recommend Twitter as part of our clients’ social media strategy. Twitter provides unparalleled access to a variety of engaged audiences and gives brands a thought leadership platform to consistently showcase expertise to their audiences. For a brand to establish themselves as a thought leader in their industry, it’s important to become a go-to resource on Twitter by identifying trends and pushing out consistent educational content that will benefit their followers. Impact on My Business: Becoming a thought leader on Twitter requires a supporting strategy for your social media efforts – the data tells us that 96% of consumers want more insights from industry leaders and social, often Twitter is their go-to platform to get this content. We also know that people are looking for informative and engaging content, which means that sales-heavy Twitter posts simply won’t resonate with followers. We focus on curating and developing truly beneficial content that can be shared via Twitter, not only to maintain credibility, but to ensure our relationship with our followers is a mutually beneficial one for both them and our brand. One Consistent Activity: I love utilizing all social networks for B2B and B2C marketing efforts but Twitter might be my favorite. This is in part because it’s been underrated over the last several years with the growing popularity of Instagram and Snapchat. Unlike those two platforms, Twitter generates a significant amount of website traffic and social signals for SEO purposes. To maximize total reach and website traffic generation on Twitter, it’s often advisable to tweet every hour, attach a video or image, and use hashtags. This will help prevent your tweets from getting lost in the shuffle of user feeds. Impact on My Business: The tactic of tweeting every hour with media and hashtags included drives hundreds, if not thousands, of website views to my pages daily and at no cost. It’s generated advertising revenue, initiated partnerships, improved website search rankings, and most importantly brought in sales. One Consistent Activity: Before starting BusinessBrew, I didn’t actively engage too much on Twitter. However, we’ve found that our personas clearly engage with our content on Twitter. Between our personal accounts and our business account we share content we write, questions or interesting from others and typically, I see leads coming in right after we post. 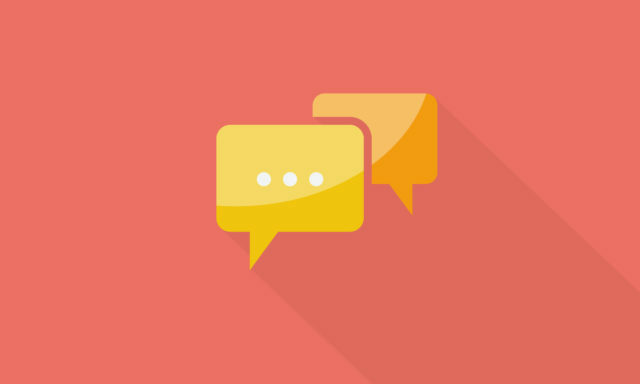 It’s hard to give a golden rule for social as your buyer persona dictates where you’re active. If I compare Twitter with the other big traditional networks, I see that LinkedIn has a more indirect effect. People will consume our content on Linkedin and then give us positive feedback off the page. On Facebook, we don’t really reach a wide audience but we see engagement from our ‘friends and family’ networks. The overall effect on LinkedIn has helped our brand recognition and helped us get contacts for speaking opportunities and guest posts, Twitter, however, typically leads to a direct increase in leads. Impact on My Business: Leads! The number of leads is the only metric that really matters as this is what impacts your bottom line. Sharing our blogs and downloadable content on Twitter gives us a good number of top of the funnel leads which we can further nurture over time. One Consistent Activity: Many platforms are broadcast-led, whereas Twitter allows you to post, engage and have conversations with prospects and customers. Impact on My Business: We are a “social only” company, and use social media in all aspects of our go-to-market. We consistently share 3 pieces of content daily and, after all, social is about inbound and therefore revenue. 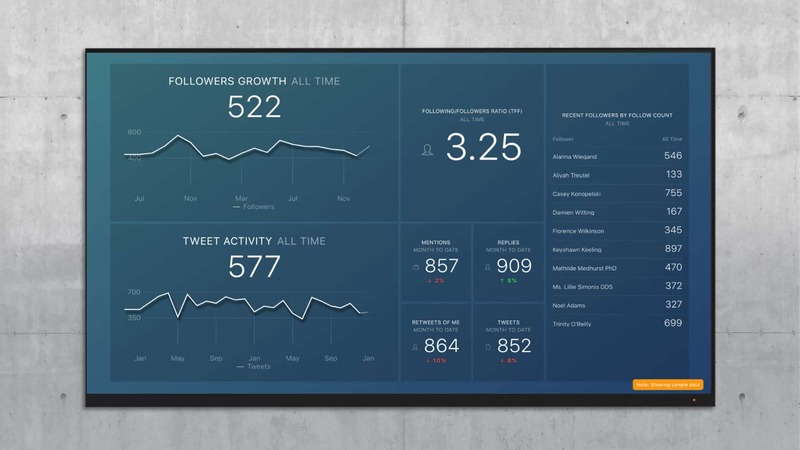 Track all your major Twitter metrics with the Twitter basics dashboard. One Consistent Activity: We love Pinterest for our clients, particularly e-commerce and hospitality. When possible, we ALWAYS use Pinterest advertising. Pinterest continues to embrace its glorious intersection between search and social and the tool is more useful than ever for brands willing to put budget into their Pinterest strategy. Impact on My Business: The platform recently introduced the Taste Graph and enhanced keyword features to its ads manager which make audience targeting easier and more accurate. We have been able to use these features to drive RFP submissions for hospitality clients. For example, we run Pinterest advertising for a beachfront resort that hosts a lot of weddings. With Pinterest advertising, we can target users who have a history of searching for beach hotel weddings venues. It doesn’t get more qualified than that! One Consistent Activity: I consistently publish helpful tutorial content to position myself as an expert in my field. I publish 2-3 videos per week. This allows me to demonstrate my knowledge while helping business owners get a better understanding of marketing. The other bonus to doing this is that fellow marketers also learn from my content and it can generate more speaking opportunities. Impact on My Business: I don’t need to try and prove that I can market small businesses because my significant following shows I know what I’m doing. Therefore, I don’t spend a lot of time closing leads into sales because people can already appreciate what I do and how I come across. When you have a library of content that shows your expertise, you have social proof so you’re already ahead of other companies when it comes to winning new business. 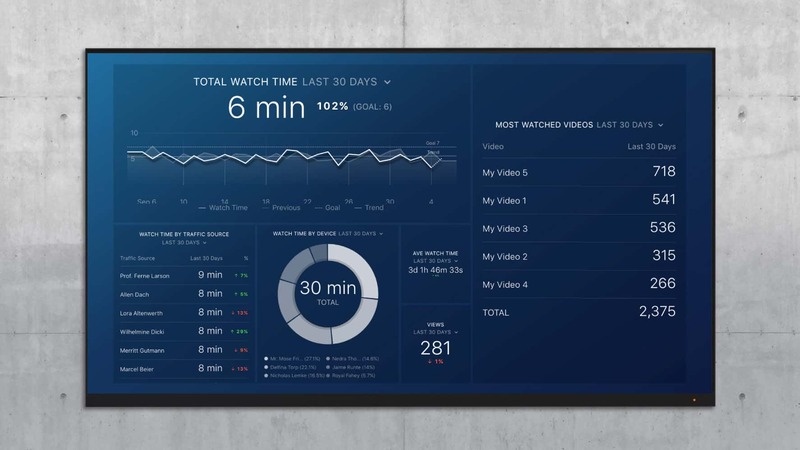 Track your top YouTube videos with the YouTube Watch Time Analysis dashboard. We also asked these marketers about the metrics that they use to determine success. We asked them to rate each metric on a scale of 1-5, with 1 being the most important, and 5 being the least important. Here are the results. Only “Follower Growth” and “Impressions” averaged less than a 2, or “important”. 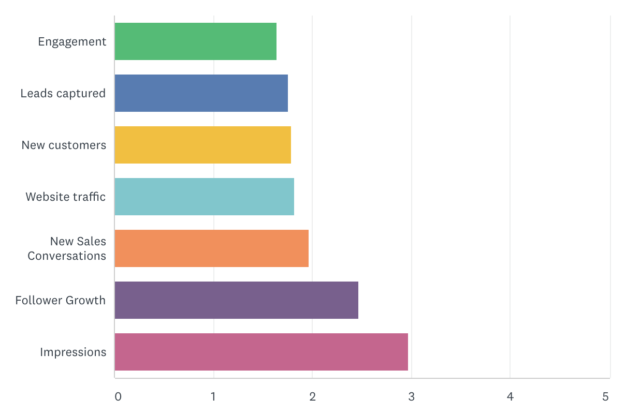 The other metrics- sales conversations, traffic, customers, leads and engagement- all averaged “important” or better. And, you could argue that engagement is a leading indicator for web traffic. In other words, people need to interact with your posts natively on social media before you can expect a healthy flow of link clicks on your posts. Here’s the lesson I learned…. Social media activity needs to tie back to SOME business goal. Although many people certainly listed brand awareness as at least “sort of important” in the survey, they also ranked it the least important of all the other metrics. To make social marketing effort worth it, awareness needs to translate to engagement of some sort. Pick a network. Follow the advice from the people above.